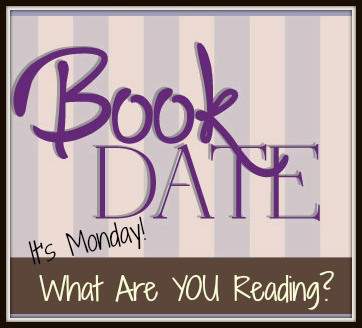 It’s Monday and was that a #readathon or eatathon weekend? My TBR stack for readathon. Of course I only read comics and part of an ebook! It was readathon weekend but really it was more of an eatathon for me. I did manage to read three comics, go on a Costco run, watch Hidden Figures (again but my mum hadn’t seen it before) on Saturday. And on Sunday, we tried out a brand new seafood restaurant in San Jose. EMC Seafood and Raw Bar had a beautiful and generous seafood tower! And the rest of the food we ordered (calamari, seafood pasta, hickory smoked salmon) was really good too. Also in Santana Row is an Amazon bookstore. It was packed and people were actually buying books. It was interesting how all the books faced out which does mean fewer books on the shelves but also no head craning to see all the spines! I didn’t buy anything though. Eating: This bar made of freeze dried strawberries, marshmallows and cream cheese that the 4yo and I put together. Of course he refuses to eat it. But I actually kinda like it. Interesting bookstore layout! I’m glad it was packed, that means people are reading. Excellent restraint in not buying anything!